These lovely Diamante drop earrings were originally on screw-on fittings, typical of vintage earrings from the late 1930s and 1940's. 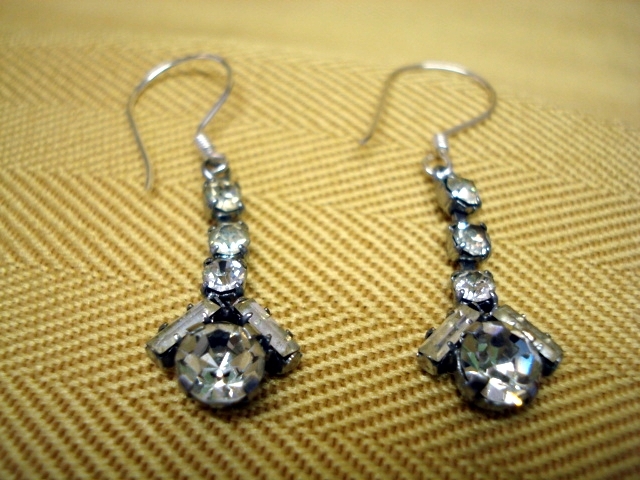 We have converted them to a pierced fitting by suspending the droppers onto brand new sterling silver earwires. 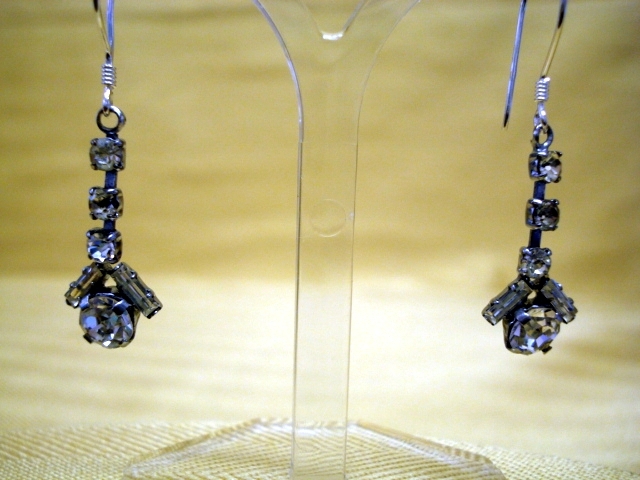 Each earring has a large central faux diamond, approximately a quarter of an inch in diameter, either side of this are two baguette shaped stones suspended from three smaller diamantes. 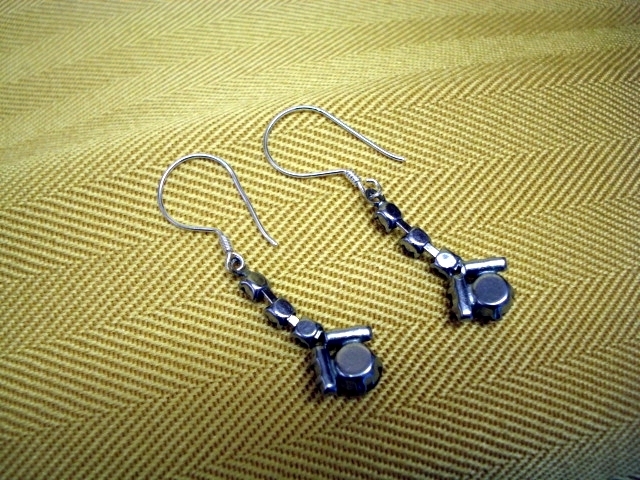 All the crystals are bright and sparkling and have been claw-set in a chromed or rhodium metal backing. The earrings are pictured on our life-sized mannekin, Ellie, a retro shop fitting which is perfect for modelling old jewellery! 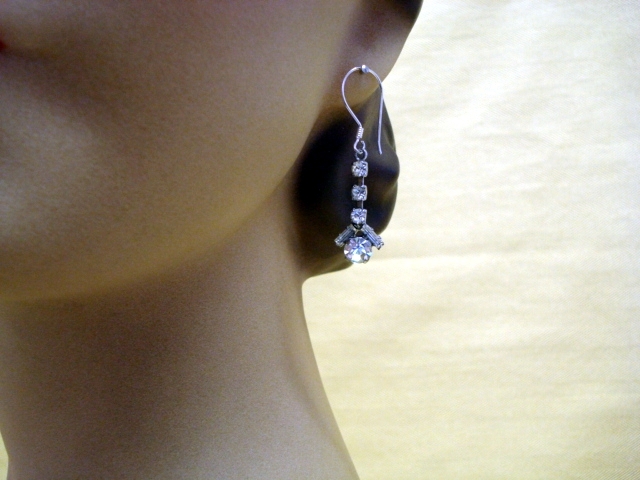 Measuring just over one and half inches in length, including the silver earwires, these vintage earrings would pair up well with any of our vintage diamante necklaces and collars. 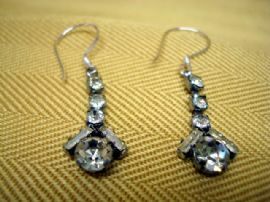 Perfect earrings for a bride or bridesmaid and very suitable for special occasion or party wear.